Vic and Argmon are just trying to make a simple delivery, albeit while being chased by the local fuzz. They pick up an unexpected stowaway on their planet to planet run. Once the delivery is complete, Vic, Argmon, and their new crewmate Joey, are offered a double or nothing gamble to pick up a second delivey for the celebration party. They must return to Planchar in twenty-four standard hours with a shipment of beer. It sounds so simple, perhaps too simple. We will send V and A Shipping to your Kindle at . 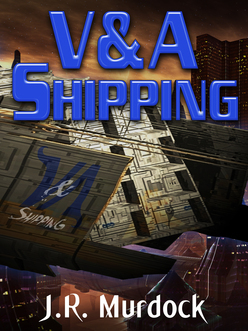 V and A Shipping has been sent successfully to your Kindle!